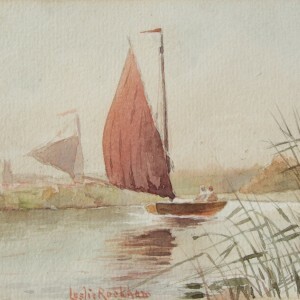 Rackham was a talented artist and produced skillfully executed works from his garden studio. 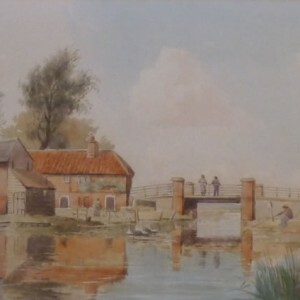 His views of Norwich Cathedral, the City Hall and alleyways of the old City were popular subjects for him to paint. 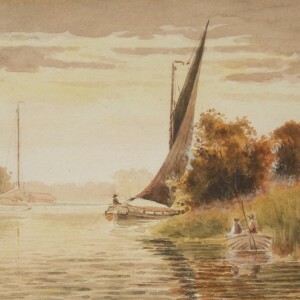 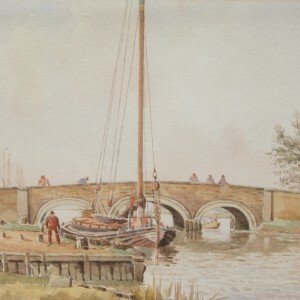 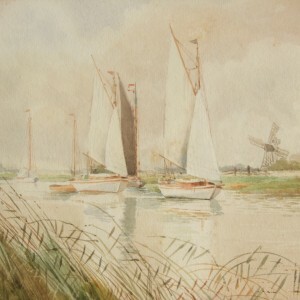 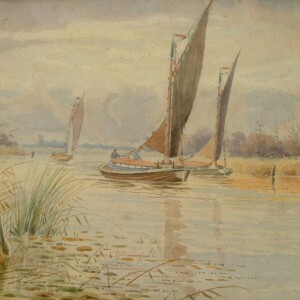 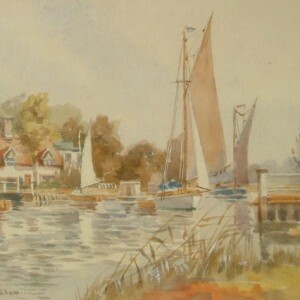 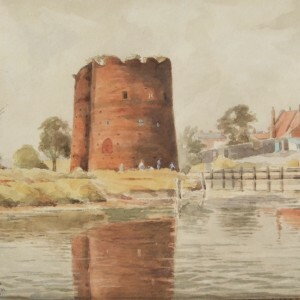 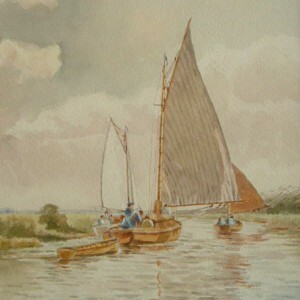 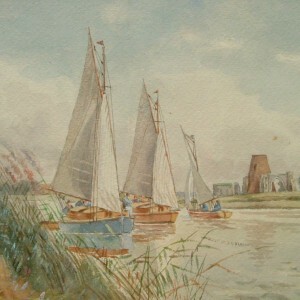 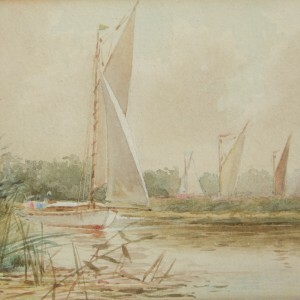 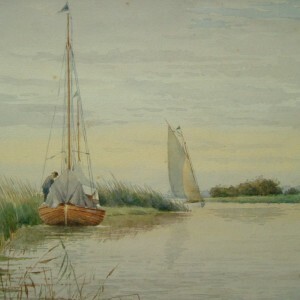 It was, however, the Broadland landscapes of wherries and mills which inspired him greatly and, acquiring his own yacht named ‘Old Genesta’ moored at Horning, enabled him access to the Broads and produced the delightful paintings for which he is best known. 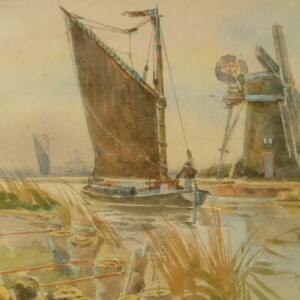 In 1927 he wrote and illustrated his own publication entitled ‘Everybody’s Broadland’. 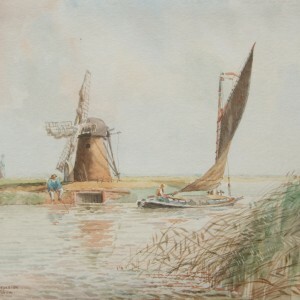 Sadly Rackham found it difficult to make a living from his work and, in spite of his talent, many of his paintings were sold for a pittance, often exchanging his work for his favourite tipple. 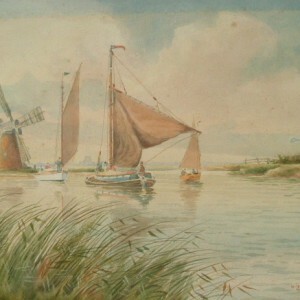 The paintings which have survived in good condition are rare and have become highly collectable.